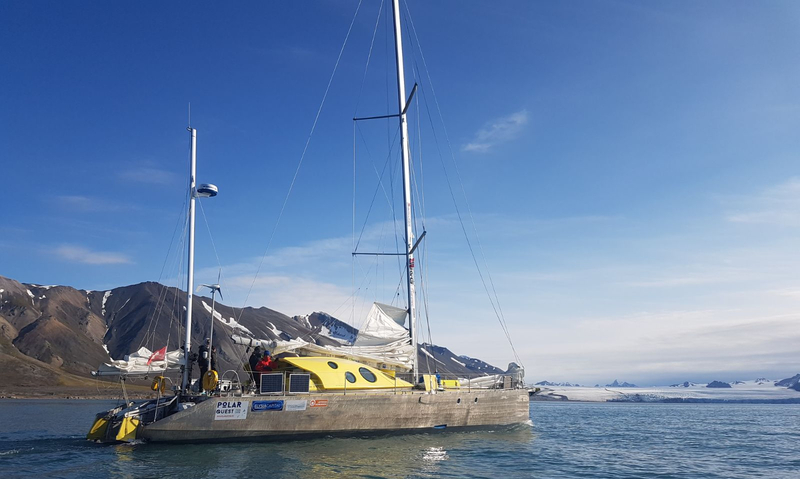 After crossing the Greenland Sea for 10 days and exploring the southernmost part of the Svalbard archipelago, Polarquest2018’s self-sustaining sailboat Nanuq has arrived in Longyearbyen, the capital of Spitzbergen, according to plan. The crossing conditions were “almost optimal, except for some fog and lack of wind on the approach to the South coast of Spitzbergen” – said Captain Peter Gallinelli, upon arrival. Read the full press release about the arrival: in English, in Italian.